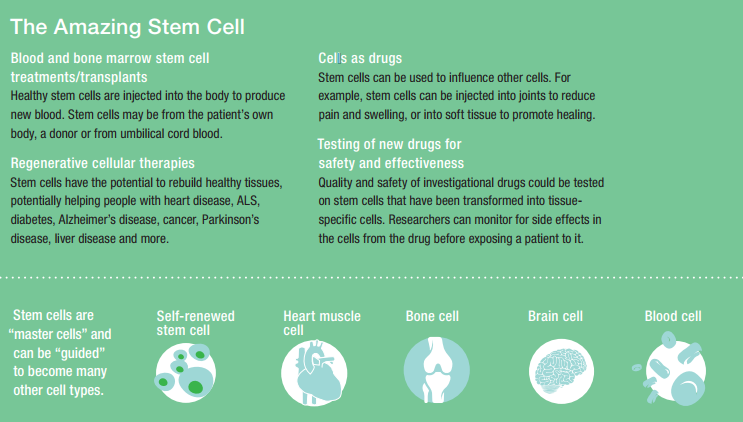 Without the lab, physicians could spend years gaining the expertise in stem cells as well as necessary Food and Drug Administration approvals to move into clinical trials. With assistance from Dr. Dietz's lab, that time can be cut significantly — to less than a year in some cases. "Dr. Dietz provided invaluable leadership in guiding us through the very complicated path of obtaining FDA approval for our first stem cell trials. Without Dr. Dietz, these trials would not have been possible," says neurologist Anthony J. Windebank, M.D. "He has endless enthusiasm and a very practical approach to getting things done efficiently." That practical approach began when Dr. Dietz was a boy. "My ability to solve problems and my work ethic come from growing up on a farm," Dr. Dietz says. "On a farm, you're almost always limited in resources. So your first response to any problem is, 'How can I solve it with the things I have?'" At the time he was recruited to work at Mayo Clinic in Rochester, Minnesota, there was no regenerative medicine field as it is thought of today. The laboratory's history is rooted in transfusion medicine — the act of collecting and testing blood to be given to patients at Mayo Clinic. In the history of blood banking, researchers found it to be a powerful tool for healing. "When you differentiate blood, cut it into different pieces, such as platelets, packed red blood cells or plasma, you have more treatment options," explains Dr. Dietz. "The body has tissues with powerful healing properties, and we just need to figure out how to tease them out." Recognizing the potential, Mayo Clinic sought a scientist who could take this research to the next logical extension and explore other opportunities for treatments created from human cells. The field was so new and unexplored that Mayo Clinic did not even know how to advertise the position, but as luck would have it, there were a few researchers in transfusion medicine who knew a scientist known for taking on challenging puzzles. That scientist was Dr. Dietz. Dr. Dietz started his work on cancer vaccines with the Mayo Clinic Cancer Center, and after developing one approach, he spoke to his division leader at the time, S. Breanndan Moore, M.D., to find out what he thought his next project should be. "Dr. Moore said, 'Why are you asking me? You'll know,'" Dr. Dietz recalls. As it turns out, he did. Dr. Dietz was inspired by a single case study reported in literature of mesenchymal stem cells dramatically reducing one patient's inflammatory response to graft-versus-host disease, which is often fatal. "That was all I needed as a flag to go: 'That's the new thing we're going to work on!'" What came next was a six-year odyssey to do all the background scientific work to develop these cells as a powerful drug platform. Collaborating with Dr. Windebank, who was working with patients with amyotrophic lateral sclerosis (ALS) — also known as Lou Gehrig's disease — Dr. Dietz realized that these cells could be a "last great hope" for these patients. But it was not until the disease hit close to home that Dr. Dietz really understood what these patients and their families were facing. As his team worked toward a clinical trial, Dr. Dietz was called into the office of Dr. Moore. "He was a great practical joker, so he sat me down and asked, 'How's that ALS trial?' and after being reassured that it was going well, he asked, 'Do you think I'll be eligible for it?' At first, I thought he was joking, but he had been diagnosed recently with ALS." Dr. Dietz and his team applied to do a one patient trial so that they could bring the treatment more quickly to their friend and colleague. "He didn't want us to do anything to compromise the integrity of what we were doing, but we framed it as fast as we possibly could," Dr. Dietz says. The day they got the permission to run the single-patient trial, Dr. Dietz called Dr. Moore to share the good news. It was too late. "He had been moved to hospice that morning," Dr. Dietz says, his voice cracking. "So, Breanndan missed it." Devastated by the loss of his mentor, colleague and friend in 2009, Dr. Dietz and his team continued to plug away at the problem. This radical approach to treating patients rarely found support by traditional funding sources. While the Mayo Clinic Department of Laboratory Medicine and Pathology and the Center for Regenerative Medicine provided financial help for the Human Cell Therapy Laboratory, critical funding has come from benefactors. Dr. Dietz and the lab have done the heavy lifting needed to develop multiple cell-based treatments. This development work is amplified as this new important class of cellular drugs gets into the hands of physicians. The combination of the Human Cell Therapy Laboratory developing these drugs and clinical experts using these drugs supported by like-minded donors is a powerful combination. "There isn't anybody who's not touched by one of these terrible diseases, and we started out purposely picking really tough ones like brain cancer, ALS, multiple system atrophy and wounds that won't heal, because there is nothing else for these patients," Dr. Dietz says. "It is a gigantic unmet need." And Dr. Dietz's stubborn work ethic propels him to meet those needs for patients. 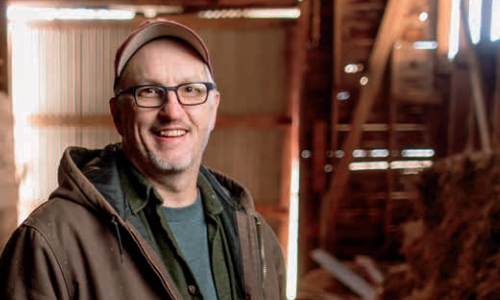 "Science is very much like a farm: an endless amount of work and a new flavor of problems every day," Dr. Dietz says. "It is up to us to figure it out."